ADVANTEC offers multi discipline engineering competence, fabrication and assembly specialities, and supports the operations and services of the Advantec Group in the global oil & gas market.ADVANTEC AS is the parent company of all the different department offices and subsidiaries of the Advantec Group. It also houses the corporate headquarter. The facility at Stord consists of modern offices, workshops and storage facilities for design and engineering projects, fabrication and assembly, and integration testing of completed systems. The activities include coordination of the Rental Tool Pool of many different types of equipment and systems, from advanced WOCS systems, to rental test instruments and test containers. The Stord facility also includes a well-equipped calibration laboratory for re-calibration of own and 3rd party equipment. The facility at Eldøyane includes an outdoor test pit with dimensions 25x25x25m and an indoor test pit of 6x6x6m. 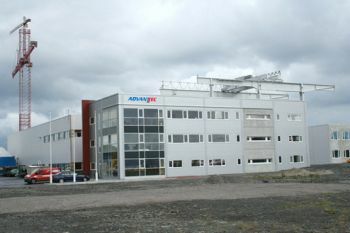 Advantec Hammerfest was established in 2013, and moves into brand new and modern facilities at Lervigshøyden, just outside the Polar Base in the Arctic offshore hub of Hammerfest, Norway. 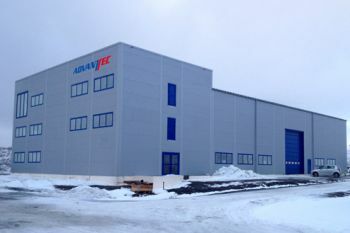 This facility offers specialists service, maintenance and operational support to the strong Barents Sea market segment. The Hammerfest unit offers rental equipment, calibration and re-certification equipment and services, for the oil & gas industry. Engineering support is offered in conjunction with Advantec’s head-office at Stord, and will be grown locally to meet market demands. Facilities are available for sublets, both for engineering and administrative facilities, as well as workshop and storage areas.